REIKI (pronounced Ray-Key) is a Japanese term loosely translated as ‘spiritually guided universal life force energy.’ Reiki is an energy balancing system developed by Dr Mikao Usui in early Twentieth Century Japan, and is now widely practiced throughout the world. Reiki is a powerful yet gentle, non-invasive system that utilizes the gentle laying on of hands (or working off the body in the energy field/aura), and in distance Reiki to bring balance on all levels to the recipient…mind, body and spirit. It is recognized for its original intent, as a powerful spiritual path, with physical wellness being just one aspect of the system. Healing and the return to love is in the nature of life itself. As an Usui Ryoho Reiki Master, I am honored to be with you on your journey to oneness and well-being. As a Reiki Master, I do distance work. Physical distance does not matter in the practice of Reiki. Just like all energy healing, Reiki can be sent through time and space. The three Usui Reiki symbols combined unlock the doors to distance healing. I am able to send Reiki whenever and wherever it is required. The beauty of it is that I can perform a distance healing session no matter what environment or location I am in. I have the ability through practice to filter out distractions and focus, sending Reiki to a person, place, or event as required. This ability is extremely helpful when I am needed to channel Reiki in the event of an emergency. Reiki will go where it is needed and continue to work even after I have ended the session. Prior to the distance Reiki healing session, I schedule an intake session in my personal video chat room. 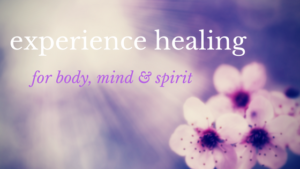 This session helps prepare the recipient for the healing process and is given powerful insight and tips on how to be fully open to receive. Conversely, the recipient need not be involved at all for Reiki to flow as it is intended. Reiki will always go where it is needed. But if there is a recipient that wants the added bonus of understanding how our body, mind, and spirit heals as a natural process…then these intake sessions will be life-changing for you. As a Reiki Master/ Practitioner, know that Reiki will go wherever it is needed when applied. Be inspired to heal. I am honored to be a part of your journey in discovering oneness and embracing well-being. Many blessings as you begin to release the things that no longer serve you. Yes. I Want to Healing in my Life! The capabilities before us when connecting the heart, intuition, and the brain can maintain overall well-being, and heal ourselves from sickness, imbalances, and disease. We are able. We can do this as a global family as we make strides toward a collective conscious shift. It starts with one. The righteous domino has already been put into place for the rest of us to align with. So let’s do this! Let us begin to erase our stories of loss and separation and re-write a new powerful story of connection and Oneness. Why in the world would we not want to move from a life of conflict and struggle to a life filled with synergy and calm? And isn’t it about time that we let go of all of the fear and resistance in external life situations, and come into the love and acceptance of truth? If we could do this, we could start moving those internal mountains that no longer serve our highest good. After all, the shift must first begin internally. And as the war with your unconscious thinking mind dissolves, natural cooperation and healing throughout the body can take place. Yes. I want HEALING in my life!